All IRIS M MA users are receiving this update notification. During the installation process of the new update the license management application will check the status of your license to ensure that you are entitled to the new update. Entitlement is guaranteed within the initial 12 month period following your IRIS M MA system purchase or with a current RDI Technologies Maintenance Agreement. Please refer to the “IRIS M new release history” attached for a summary of all the updates over the past 18 months. RDI Technologies is excited to announce a new update for the Iris M. This software update brings an exciting set of new features to the product. These features are the most requested by our users. Calculate Spectrum from Portion of Waveform – Calculate spectral data from a specific part of the available waveform. This is accomplished graphically from the waveform plot, and calculated spectra are updated dynamically as the region over which they are calculated is modified. Bulk Filtering – Using Motion Explorer, copy the filters from one recording and apply them to one or more recordings. This means that you only have to set up the filters once if applying the same filters to multiple recordings on the same asset. Spectrum Harmonic Cursor – Harmonic cursors are now supported in spectrum plots. This allows harmonic frequency content to be more quickly recognized. Autoscale Across Plots – Autoscaling the amplitude axis across plots of the same type (e.g. spectrum or waveform plots) allows quick recognition of relative amplitude values. There are 2 software configurations. 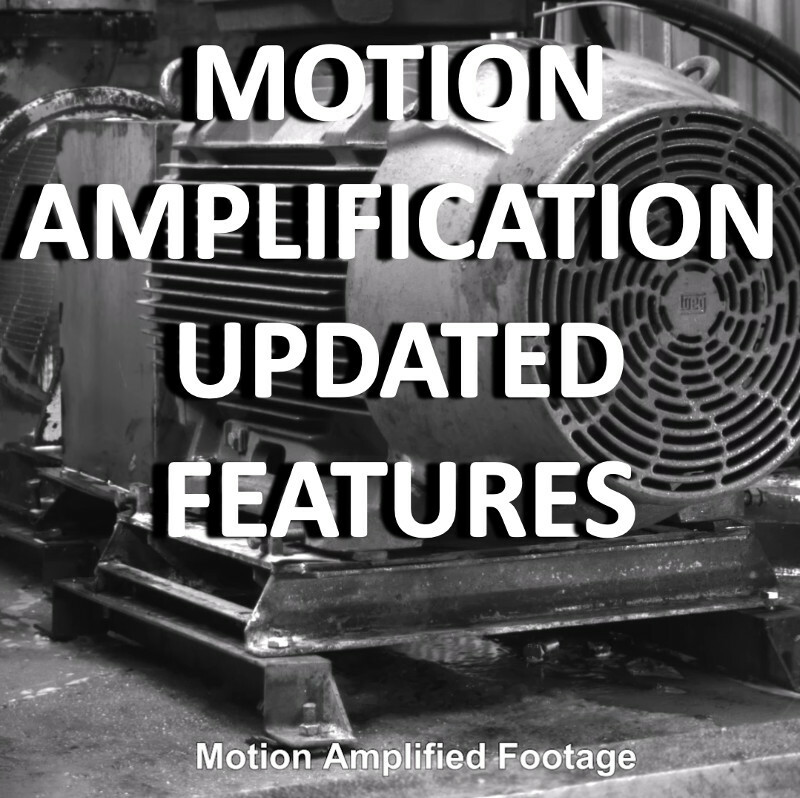 Stand Alone – This is the Motion Amplification analysis software only. This is a single license and can be installed on another computer (laptop or desktop) for office analysis of the captured data. Following the above steps will install directly over your previous installation. There is no need for users to delete any files. The computer will auto restart so please close/save any other work before undertaking the install. Download the software to a computer with internet access. Copy the downloaded files to a USB drive. Transfer the copied files to the dedicated Iris M tablet/laptop. For further details on the installation process, if required, please reference the Motion Amplification User’s Manual. A 1hr webinar covering the New Update and notable features will be run next Wed 30 May 2018 commencing at 14:00hrs AEST. You will receive a separate webinar invitation. Please contact sales@gvsensors.com.au to book into the Webinar. Optical Motion Technologies (OMT) is the authorised distributor for RDI Technologies (RDI) in Australasia. We have chosen GVS Reliability Products (GVS) as the authorised sales channel partner for our region.